I just realised ladyironchef has reached a new milestone of 300th posts. While the mark may be little compared to some other bloggers, but personally i thought it was some kind of a feat, since i wasn’t even intending to do a food blog when i just started. And its never easy to maintain a food blog, besides eating all over Singapore, you need to snap photos of the shot (much to annoyance of my friends), edit them, and spend hours doing the write-up. I think the reason i’m able to continue up till now, mainly is the support that i got from you guys, people whom i know enjoys reading my blog, and appreciate the effort. Therefore, i’ll like to take this opportunity to thank everybody who reads LIC. Readership here has been slowly increasing, and it has also just broken the 300,000 visits within a span of just 6 months since i shifted my site to this new domain. It’ll be impossible to do all these without one very important character, and that is my DSLR, Nikon D40. Like i mentioned previously, i’ve gotten the Nikon 50mm lens, but i sold it off after a week as i regretted not getting the macro lens instead. I’m pleased to announce that from now onwards, all my foodgraphy will be taken with my new partner, Nikon 60mm micro f2.8!! I got it a few weeks ago for $745. The shots i took so far are all excellent, like what you seen for the Obolo desserts. More photos taken by the micro lens will come soon, but i’ll need to clear some old posts taken with the kit lens first. Congrats!! Many more 300 posts to come!! 300,000 visits in 6 mths? me been blogging for how many donkey years and havent even reach that no. yet! congrats, and here’s wishing u ????! haha. Keep it up, will still support your web. And eh its not 30k, its 300k. lol! thanks for the support! didally: thanks! that’s because you always never blog! you should update more often seriously, your pictures are so beautiful and i love the stuff you make. vicki: hahaha thanks! orders flooding in eh? hey! you finally got your macro!! good for you! wentong: yeah i got it two three weeks ago but didn’t post it yet. haha. 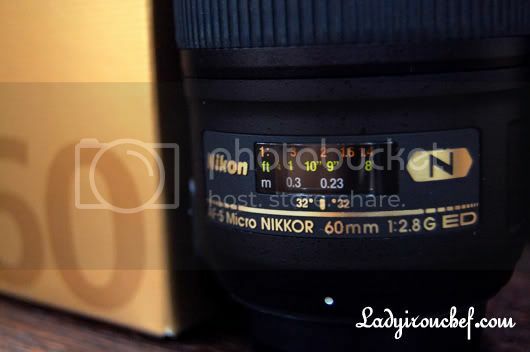 good to have another new lens, like you say, lens can never be enough just like shoes (for ladies that is) haha. yeah saw yr photos, the 50mm is coming very well, excellent buy. ee ling: hahahaha thanks for the support! Jacelyn: lol! so serious eh? Congrats on yr 300(th post) n 300(k visits)! Wow grats!!! That’s some serious chunk of traffic! And the new lens! I am still using my upgraded kit lens. Hmmmm! congratulations on reaching post #300. We just hit 300 recently as well, though it took us longer to get there (wasn’t serious about food blogging until 6 months ago). I think you have a great site. hi, was wondering.. where did you get the 60mm micro lens for just $745? Hey carolyn: hahahahha i got it last year in Nov, 745 was the price back then. Now i believe the very same lens cost $950 because of the rise in Yen! Yeah.. for my blogshop.. but i like to take food stuffs as a hobby as well! hehe..
Oh, no wonder, cos i asked around and it cost $960 for f2.8 60mm. Oh, din know there’s a 85mm f1.8.. but it’s not a micro lens? Would u consider a Tamron lens? Am considering that as well cos it’s cheaper! Carolyn: HAHAHAHAH even though my blog is ladyironchef, but I’m not a lady! : D my name is brad. don’t worry yeah, most people thought that I’m a lady from the nick too. haha! hey brad. Oops.. mistaken you as a lady! Nice to know more camera stuffs and enjoy viewing pics from ur food blog. Shall consider the 85mm lens that u recommend!! I’m the one who’s taking the pics! I love taking pics and i’m also a food lover just like u! Hee..
Yeah.. 50mm f1.8 is cheaper. But it can’t take pics like those of a micro lens like 60mm f2.8. Argh. hard to decide! ahaha.. seems like only the 60mm is the perfect choice for taking food! shall consider thoroughly again. You’ve really enlightened me quite abit!